A shady corner in life can be a dark and mysterious place, but in the shady corners of the mind the mystery and darkness know no bounds! In a struggle with his conscience and haunted by images of murder David is given a choice to right the wrongs of his past. Can he cheat fate and avoid his future? 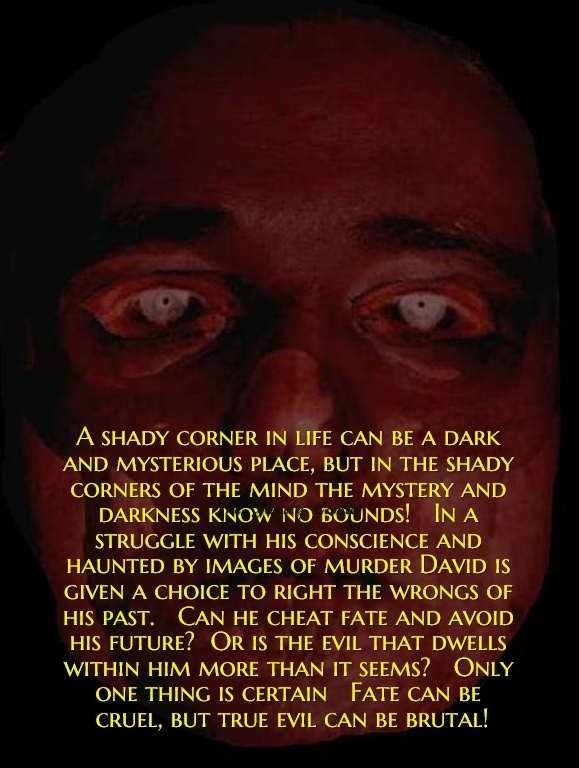 Or is the evil that dwells within him more than it seems? Only one thing is certain Fate can be cruel, but true evil can be brutal!